The latest computer geek in the family! It was bound to happen. NHL is officially turning into a computer geek. Just like his daddy he wants to be on the computer all the time. 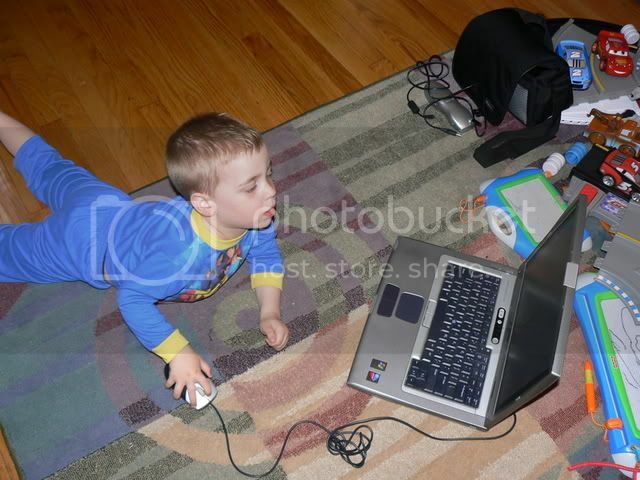 Mommy found a Harry and the Bucket of Dinosaurs website and he’s obsessed with it. I think of it as therapy since he definitely is practicing with the mouse use. 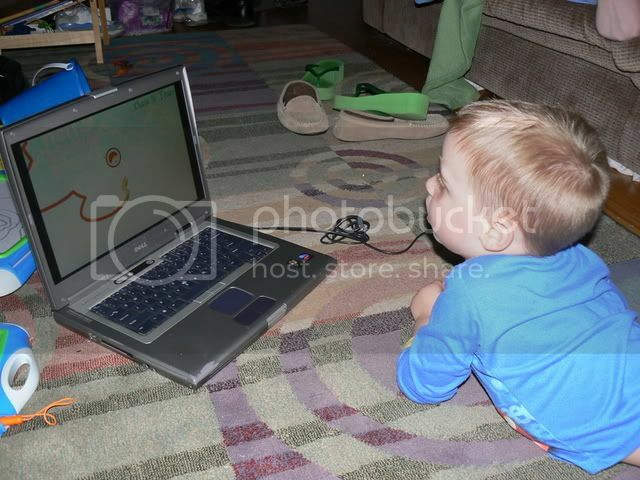 Apparently at school he loves to do games on their computer too. Now we just need to finish cleaning up the upstairs so he has his own computer to use and not just ours.